Baby toys help your child to learn and develop while having a whole lot of fun. They’re important for your child’s early years and education. Our range of baby toys offer everything your little one needs to inspire their imagination and ignite their curiosity. With items for newborns, babies and toddlers, you’re sure to find some terrific toys for your child at Pip and Sox. The beautiful variety of soft toys are perfect for showing new bubs how to grab and hold while also teaching older children about different animals. 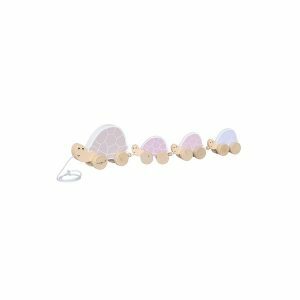 For those with growing teeth, our teethers and rattles will help to soothe sore gums while providing endless entertainment. Charming wooden sorting toys help to develop cognitive skills while our range of pull alongs encourage walking and motor skills. Awaken your little ones imagination, stimulate their senses and encourage their appetite for exploring. The Play Bars are designed to help your baby learn skills such as reaching and grasping as well as increase their muscle development, hand-eye coordination and gross motor skills. My Little Play Bar is made from premium quality 18mm Birch plywood FSC certified and is painted with a non toxic oil which is safe for your baby. The play bar has been designed using a unique and simple interlocking frame without the use of screws or glue making the assemble or disassemble quick and easy. 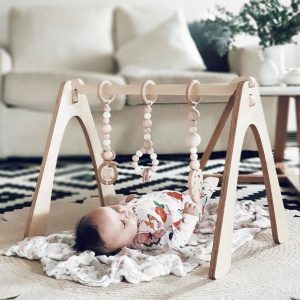 A gorgeous Scandinavian inspired designed Play Bar along with three toys will make your play bar a feature piece in your little ones nursery that you will not want to put it away. Please note the toy colour combinations will include the selected key colour, white and natural. Play Bar Measurements are approximately: Height – 45 Length – 63cm Width – 42cm Australian Designed and Made My Little Play Bar and Toys are made to order with a turnaround time of 2-3 weeks depending on current orders. Once complete, all orders are sent direct from the manufacturer to our customers. Shipping for International orders will be calculated at checkout. Once your order has been shipped by the manufacturer you will receive an email advising of such along with tracking details. Due to the nature of My Little Play Bar being made to order, we do not accept cancellation of orders. Please choose carefully. *** My Little Play Bar and Toys have been Laboratory tested and are compliant with Australian and New Zealand standards. *** Babies should never be left unattended while under the play gym. Before assembling, disassembling, or moving play gym remove baby from under gym first. 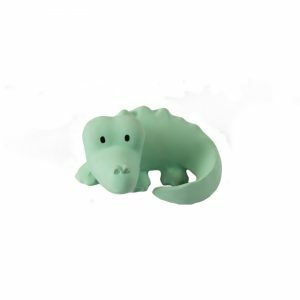 An adorable all rubber crocodile teether that is great for little hands to grab and squeeze. Features a little bell that rattles inside to delight and entertain little ones. See the full range of Tikiri My First Zoo animal teethers and rattles. Available in Hippo, Zebra, Crocodile, Lion, Giraffe and Elephant. Suitable for ages: Newborns+ Product is constructed from: Made of natural rubber that is harvested sustainably from rubber trees, with a 12 year lifecycle. BPA and phtalates free. 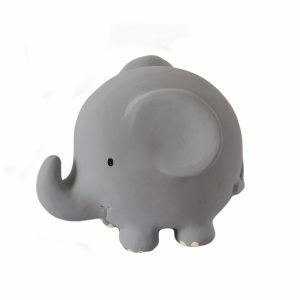 An adorable all rubber elephant teether that is great for little hands to grab and squeeze. Features a little bell that rattles inside to delight and entertain little ones. 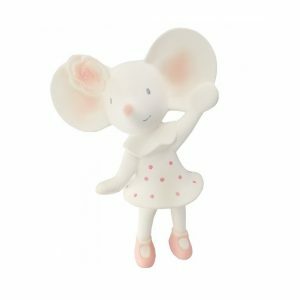 See the full range of Tikiri My First Zoo animal teethers and rattles. Available in Hippo, Zebra, Crocodile, Lion, Giraffe and Elephant. Suitable for ages: Newborns+ Product is constructed from: Made of natural rubber that is harvested sustainably from rubber trees, with a 12 year lifecycle. BPA and phtalates free. 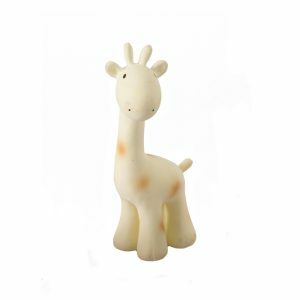 An adorable all rubber giraffe teether that is great for little hands to grab and squeeze. Features a little bell that rattles inside to delight and entertain little ones. See the full range of Tikiri My First Zoo animal teethers and rattles. Available in Hippo, Zebra, Crocodile, Lion, Giraffe and Elephant. Suitable for ages: Newborns+ Product is constructed from: Made of natural rubber that is harvested sustainably from rubber trees, with a 12 year lifecycle. BPA and phtalates free. 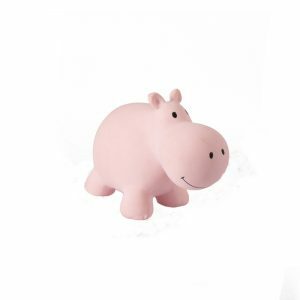 An adorable all rubber hippo teether that is great for little hands to grab and squeeze. Features a little bell that rattles inside to delight and entertain little ones. 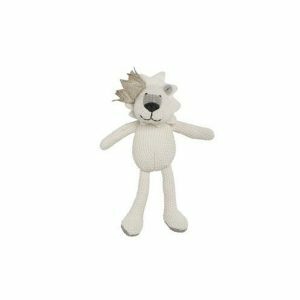 See the full range of Tikiri My First Zoo animal teethers and rattles. Available in Hippo, Zebra, Crocodile, Lion, Giraffe and Elephant. Suitable for ages: Newborns+ Product is constructed from: Made of natural rubber that is harvested sustainably from rubber trees, with a 12 year lifecycle. BPA and phtalates free. 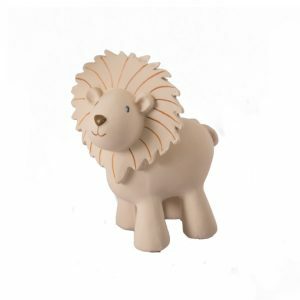 An adorable all rubber lion teether that is great for little hands to grab and squeeze. Features a little bell that rattles inside to delight and entertain little ones. See the full range of Tikiri My First Zoo animal teethers and rattles. Available in Hippo, Zebra, Crocodile, Lion, Giraffe and Elephant. Suitable for ages: Newborns+ Product is constructed from: Made of natural rubber that is harvested sustainably from rubber trees, with a 12 year lifecycle. BPA and phtalates free. 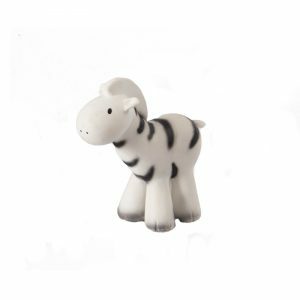 An adorable all rubber zebra teether that is great for little hands to grab and squeeze. Features a little bell that rattles inside to delight and entertain little ones. See the full range of Tikiri My First Zoo animal teethers and rattles. Available in Hippo, Zebra, Crocodile, Lion, Giraffe and Elephant. Suitable for ages: Newborns+ Product is constructed from: Made of natural rubber that is harvested sustainably from rubber trees, with a 12 year lifecycle. BPA and phtalates free. 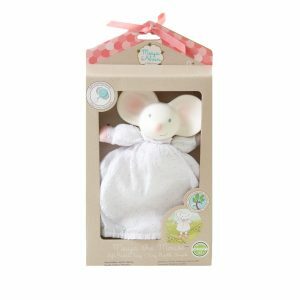 Your little one will love playing with this friendly-faced rabbit from Danish brand Konges Slojd. This fun baby activity toy encourages independent play and can be used at different stages of your little one’s growth. When younger, attach the toy within arms reach to encourage them to grab and hold. As they get bigger and start moving about, hang the rabbit from an activity stand to encourage them to reach for it. The small bell inside will further delight them as it gently rings. 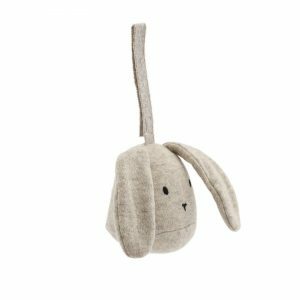 The Konges Slojd Activity Rabbit is made from a blend of wool (80%) and nylon (20%) for a soft-to-touch feel that’s also long-lasting. The velcro strap makes it easy to attach to a variety of stroller bars, playpens and activity stans. Available in rose fawn, grey, and camel.